One of the most important things a bride worries about when she starts planning her wedding, is finding her wedding dress. Many brides face difficulties and challenges when they start looking for their dream wedding dresses, as shopping for a wedding dress can be overwhelming. 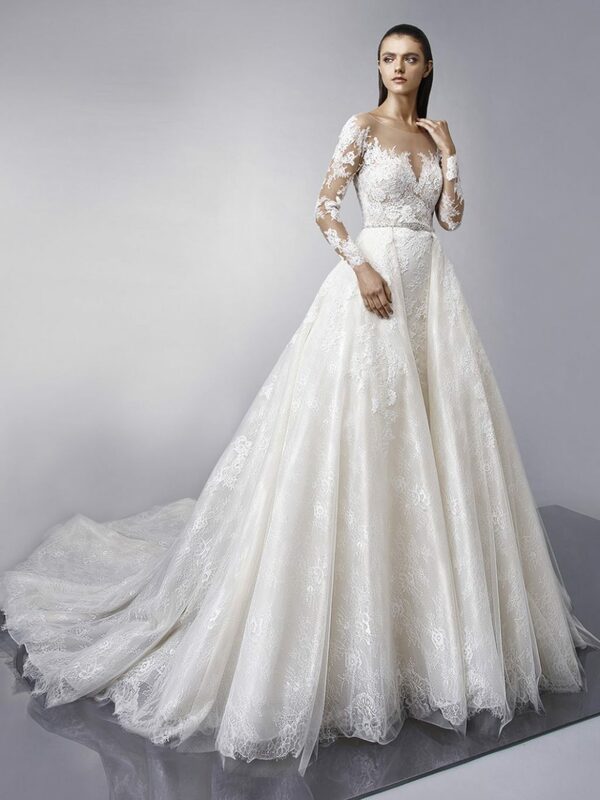 As a bride to be in Dubai you are lucky, there are several great boutiques selling designer wedding gowns in Dubai and tailor made wedding dresses. Do your research first of the top shops selling and renting wedding dresses Dubai, make a list of the boutiques you want to visit and book appointments before visiting these boutiques and stores. Wedding dress shops Dubai, are so unique and varied that brides come to shop for their wedding dresses from all over the Middle East. Our job at Arabia Weddings is to make the wedding planning process easier for you, and to help you look your best on your special day. So we have made the research on your behalf, and selected the best wedding boutiques in Dubai for you to check out. 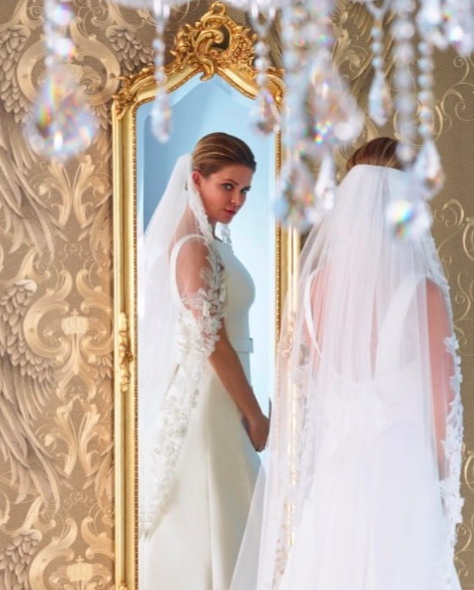 The Bridal Showroom is located at the Jumeirah Lakes Towers in Dubai, and is considered one of the most popular places selling wedding gowns in the UAE. The shop opened its doors in 2012, and ever since then it's known for its great and professional services. The Bridal Showroom has all your bridal needs covered, from bridal accessories to bridal shoes, as well as, wedding and bachelorette favors. All the dresses are chosen carefully from designers around the world who cover every bridal taste and style. You will find wedding dresses from different designers such as Hailey Page, Justin Alexander, Sophia Tolli, Romona Keveza, Sareh Nouri, Anne Barge, and lots more. One of the very well known wedding shops in Dubai, not only do they offer bridal dresses, they also offer a wide range of evening gowns as well. This shop offers 2 services, the first service is ready made dresses, while the other service is the tailor any wedding dress in the shop to suit your body type. The shop also offers shoes, hair accessories, and veils. The most famous brands in the shop are Alfred Angelo, White One, Paloma Blanc, as well as other famous brands. 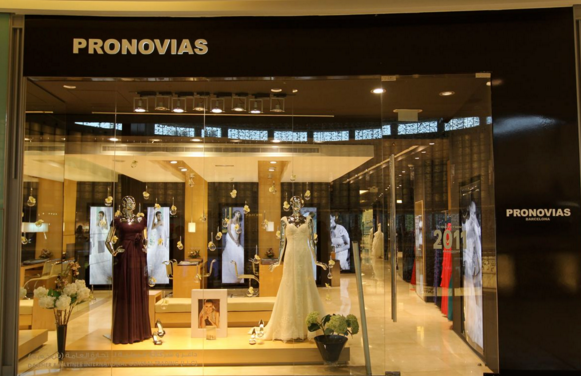 Pronovias is located at the first floor of Dubai Mall and the Spanish brand is famous for its unique and elegant designs. The store offers unique bridal and evening gowns to suit all tastes and styles. Pronovias features dresses designed by famous designers such as Elie Saab. Brides can tailor and fix their wedding dresses, and choose all the bridal accessories they need. Beljour Bridal opened in 2012, and has created a great reputation since then, the shop uses high quality fabrics. Beljour always makes sure to attend all wedding shows and bridal events in the Emirates. The team contacts the brides personally and offers them all their bridal needs. 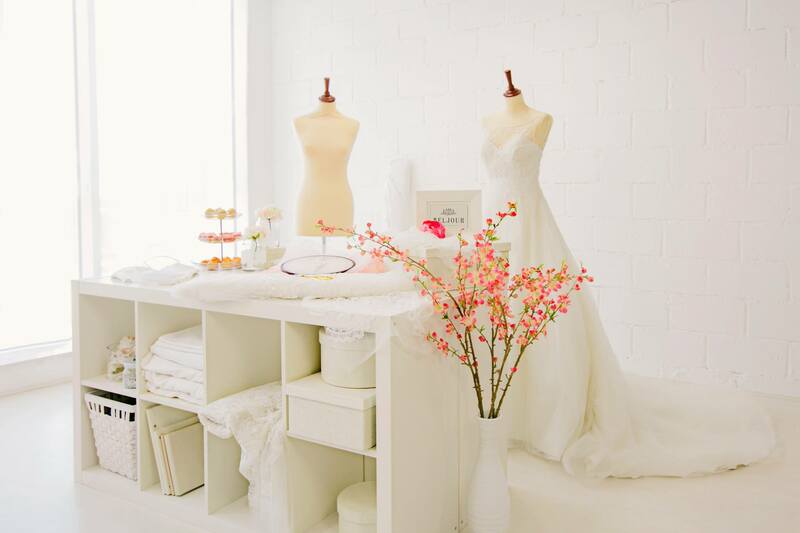 The shop also offers brides the service to fix and tailor their wedding dress. 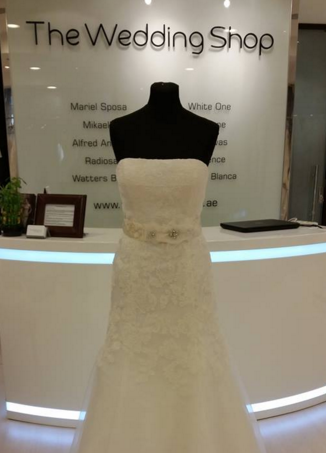 Esposa is one of the popular choices among brides in the UAE, as they make sure every bride has a unique experience while shopping for her wedding dress. The shop also offers all bridal accessories and needs, and has different designs that suit every bridal style. 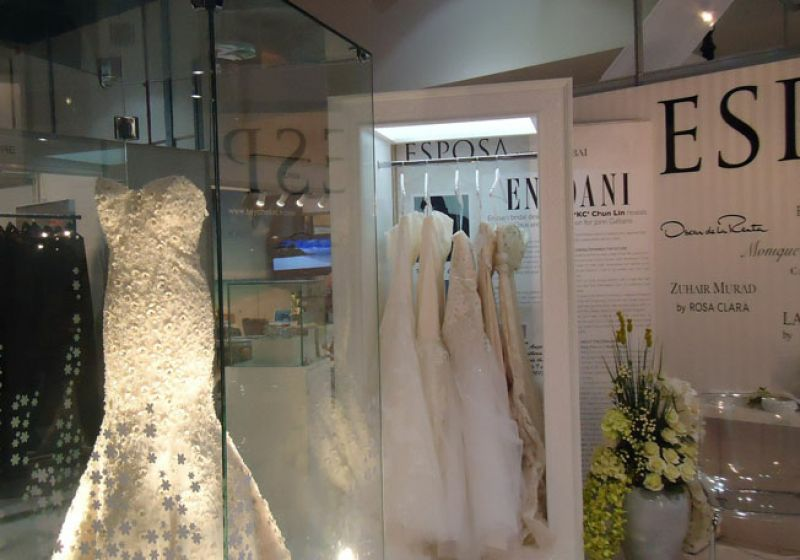 Esposa offers different brands such as Oscar de la Renta, Rosa Clara, Carolina Herrera, Marchesa, and Vera Wang. The shop takes appointments ahead of time to make sure they give every bride the attention she deserves. Vanila wedding boutique offers the bride the best shopping experience since she can choose her dress online and book an appointment to try it on. Professional stylists at the boutique will make sure that every bride gets the attention she deserves and work with her to create her own bridal style. Buying the dress isn't their only concern, buying a dress that fits the bride perfectly and finding the wedding dress of her dream is; that's why there are many stages after the dress has been picked and these stages include pre-fitting, fitting and pre-wedding preparation. 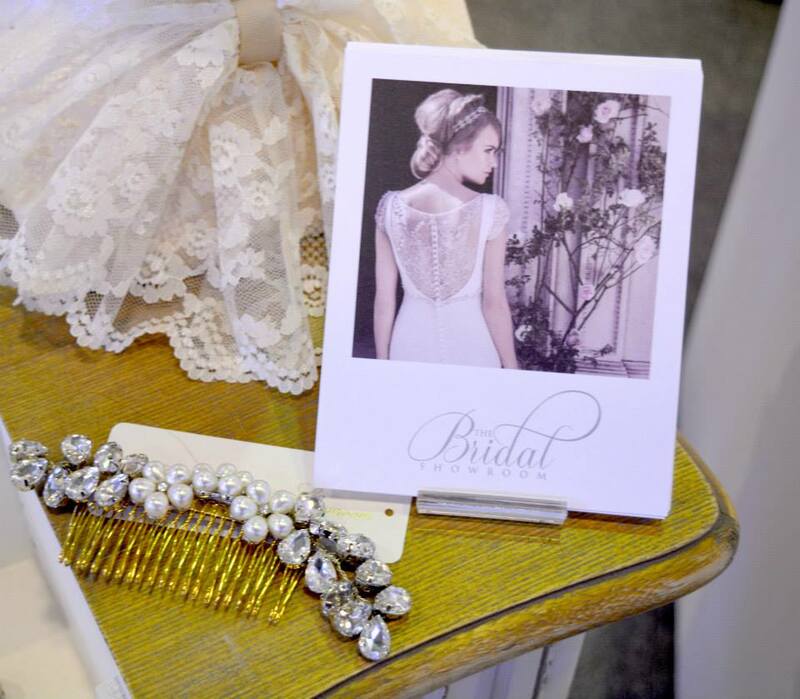 The boutique also offers a huge variety of bridal accessories that vary between contemporary and classic designs. Many designers and brands can be found at the boutique such as Casablanca, Allure Bridals, Helen Miller, Jesus Peiro and more. Bride Avenue is your one-stop shop for all things bridal and evening. THe Bride Avenue opened on Wasl Road in Dubai in 2017. They are here for every aspect of your big day, whether you are the bride, the wedding guest, or simply want to shine at a party. 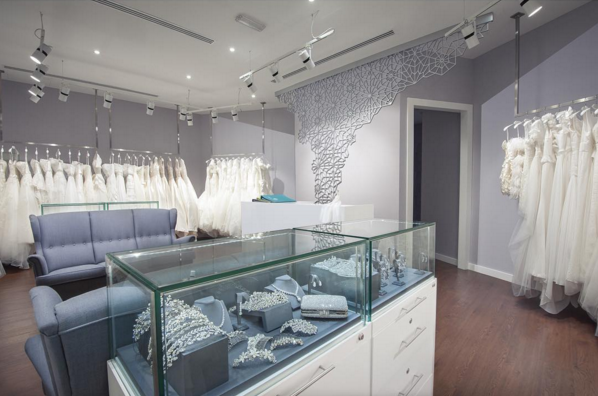 A visit to the beautiful Bride2Be Wedding Boutique is an experience you will never forget. Any bride wanting the perfect wedding dress will love both the gowns, the relaxed atmosphere and the most beautiful selection of wedding dresses. Stocking gowns by only the very best designers, and providing friendly, honest and experienced advice, the boutique can help you choose your perfect designer wedding gown. Contessa is located in the Citywalk area, one of the latest communities in the new Dubai. The boutique resides at Al Salam street, Citywalk Boulevard 2.Contessa offers the most exquisite and elegant wedding dresses. By working with a number of emerging designers.